Simply Read Books, 9781927018606, 40pp. Sun and Moon have always held their own places in the sky, but after a lifetime of darkness Moon wants to trade. Sun agrees, but only if first Moon takes a careful look at his night, before making his final decision. Follow Moon as he travels through the dark discovering enchanting animals and scenes unique to the nighttime, foxes hunting, children dreaming, lamplighters, and fireflies. Will Moon still wish to change places in the sky? Or will he realize the beauty of what he already has? Fine details amidst bright bold mixed-media illustrations will capture readers of all ages in this story of discovery and appreciation. Lindsey Yankey grew up in rural Kansas, playing outside with her sister and giant little brother. When she was inside she spent time meticulously drawing with colored pencils and oil pastels. She later earned a BFA with and emphasis in Illustration from The University of Kansas in 2009. 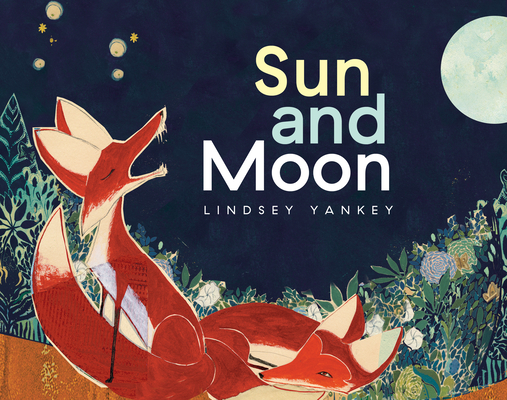 Since then Lindsey has spent time traveling and starting her career as a children s book illustrator and author. Bluebird was her first children s book in English and was preceded by In cerca del vento, the Italian edition. In cerca del vento earned a mention for the Bologna Ragazzi Opera Prima. She has also illustrated a collection of short stories by E. Nesbit titled Melisenda e altre storie da non credere. Her illustrations are created through a variety of materials. Some of her favorites include oil paint, watercolor, found paper, and linoleum block. She strives to create books that all children, as well as grown ups who were once children, can enjoy. Lindsey currently lives in Lawrence, KS with her husband, cat, dog, and their jungle of houseplants."